The key test of this budget for the Turnbull government is whether or not they have managed to tame big business. The strength of the big business lobby politically knobbled the Liberals in their first term and pulling them into line is essential for the government to be viable. For all the noise about the ideological differences between Abbott and Turnbull both were brought undone by the same forces in their first three years. The backroom power of big business left them looking like bully boys for the big end of town, despite clear indications it was neither man’s personal inclination. Prior to becoming Prime Minister Abbott was known as a big government conservative whose track record was to be economically interventionist and socially conservative. He was the man who tried to talk John Howard down on Workchoices because it would be seen as unfair. The disasterous 2014 budget with its reverse robinhood reputation was deeply at odds with everything we knew about his values. Similarly Turnbull came to power acutely aware of the problems of that budget and arguing that it was crucial government policy was seen to be fair going forward. Despite his clear diagnosis of the problem every economic proposal he put up that required the big end of town taking it share of the pain was stymied. For all their differences, both men are struggling with the same demon. It is the power behind the throne that seems hell bent on driving them to electoral oblivion. This is the real problem that is making the Turnbull government a drifter. 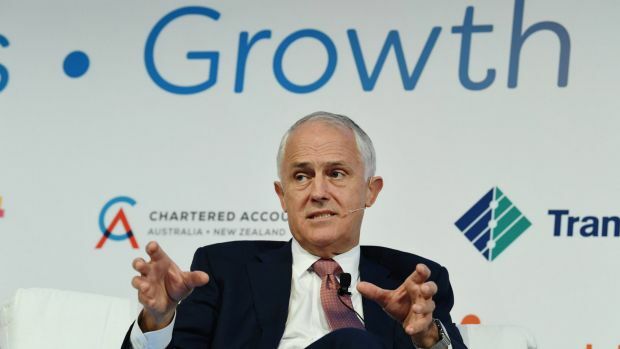 Turnbull came to power hoping to centre his government on the economic reform agenda, and sidestep the divides between liberals and conservatives on social issues. But the difficulties in taming the backroom power of business has left him with now where to go. Addressing the budget deficit and economic reform should be at the heart of the former business man’s political narrative. But unable to come up with a politically palateable agenda that secures backroom support he has been reduced to sabre rattling on 457 Visas and Australian values. The real bar for tonight’s budget is whether there are any signs he has reigned in big business influence. Ten years after the Global Financial Crisis, the failure to shift the economic paradigm, has led to the rise of Trump and the polarization of politics across the much of the western world. Groups are emerging on the far left and the far right angrily rejecting the status quo, but without a clear vision of an alternative. Responsibility for the crisis has to be laid at the feet of left intellectuals who in the wake of the collapse of socialism have failed to develop an alternate vision to free market globalism. Even as the Labor Party is rediscovering the language of equality its solutions are deeply embedded in a view of the market that limits their solutions to fiddling around the edges. The extent of the ideas failure was highlighted in a 2012 book I co-edited a book with Damien Cahill and Frank Stilwell, Neoliberalism: Beyond the Free Market that brought together all the major schools of academic thought making critiques of free market neoliberalism. The picture that emerged was fragmented and disjointed with thinkers operating in different frameworks, talking at cross purposes, with no clear and coherent alternative way of thinking about the economy. However, when you dig a little deeper it turns out all their analyses are premised on a view that when we think about the modern economy we should be thinking in terms of long production chains and that the crucial question is how wealth is distributed along the chain. In different ways, they all argue that the way that wealth is distributed along the production chain is a product of history, culture, politics and power. In this view, globalization is increasing inequality because it has shifted the power balance along global production chains in two ways. First by bringing the world’s unskilled labor into the competitive mix it has undermined the bargaining power of the working classes in the western world, undercutting their wages. Secondly it has increased the bargaining power of the elites of the mega corporations. Their enormous economies of scale have given them unprecedented bargaining power in the supply chain. The increased mobility of capital has also given them the power to compete democratic governments off against each other for lower tax rates and regulations. The combined result is that the wealth created by these long production chains has been concentrated into those links in the chain controlled by the top 1% and the wealth has been stripped out of the links in the chain provided by lower and middle income workers. This view is at odds with free market economics which assumes each link in the chain is paid what they are worth. The models being relied on by our political leaders are based on the belief everyone gets paid according to their contribution. This view has meant that for thirty years our political leaders and policy makers have argued that whatever happens in the production chain is fair game. Anyone who complains is just a whinger wanting special treatment because they can’t compete. Even the ‘Abuse of Market Power’ laws that are currently under consideration in the Parliament work on this basis. They assume an abuse of power has only occurred if it results in prices being pushed up for consumers. There is no concept that an abuse of power could result in wealth being redistributed between the weak and the powerful within the production chain. If we are to address the current political upheaval, we need to find new ways of thinking about the economy that address people’s concerns, and acknowledge issues of power and exploitation. Avoiding the rise of the far right depends on it. 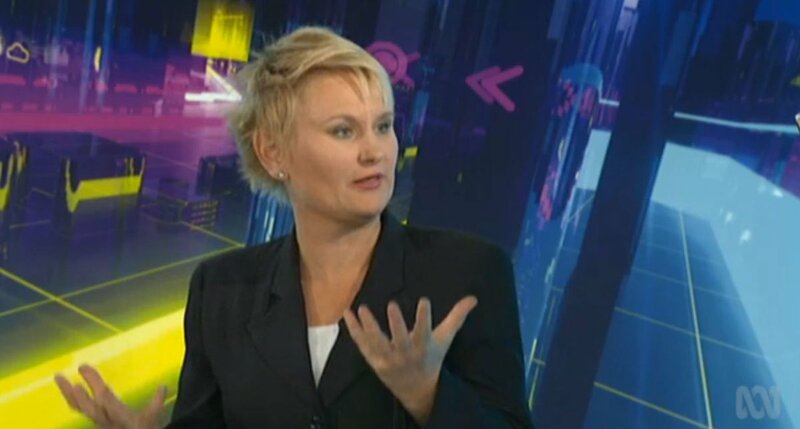 Dr Lindy Edwards is an academic at the University of New South Wales Canberra and author of How to Argue with an Economist: Re-Opening Political Debate in Australia, Cambridge University Press. My latest article to appear in the Sydney Morning Herald and across Fairfax…relates very closely to the ‘kicking up versus kicking down against globalization’ article from a couple of weeks ago. As a hapless Malcolm Turnbull tries to hold a fragmenting Liberal Party together, commentary focused on individual failures is overlooking that a once in a century political realignment is occurring. Putting cuurent events into long historical context of the last couple of hundred years. Every 50-100 years we see the kind of realignment happening at the moment…..
Coles and Woolies dealings with the farmers is a powerful case for the ‘long chain economy’. In the last week we have seen debates about the Murray Darling Basin, the backpacker tax, yet another story about foreign workers being underpaid on farms, and abuse of market power laws that impact on the power struggle between farmers and supermarkets.